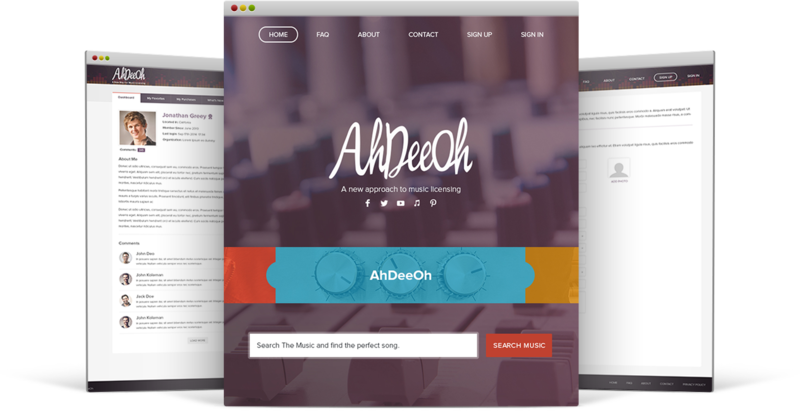 AhDeeOh was founded by composers and musicians with the goal of putting their unused spec songs to work! When a brand has 10 different artists write on a commercial and they pick only one, that just means there are 9 other amazing songs just sitting there ready to be repurposed.Here at AhDeeOh we make that happen! We have high caliber Music Makers constantly adding music that might be right for that next big trailer, or theme song, or jingle, or (fill in the blank). Pair that with Music Seekers that are the leaders in their field, and you got a winning combination.